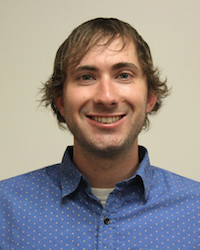 UTIG Ph.D. student Brandon Shuck was recently recognized for his research by GEOPrisms at the American Geological Union annual meeting and by the UT Jackson School of Geosciences. He is currently conducting research off the coast of New Zealand and we caught up with Brandon to learn more about him and his time here at UTIG. It has definitely been an interesting journey for me. I did my undergraduate studies at Western State Colorado University where I received B.S. degrees in geology and mathematics. I am truly indebted to my professors at Western, who inspired me and sparked my quest for higher education. When it came time to graduate, I was thirsty as ever for knowledge. A friend of mine from Texas told me to look into the graduate program at UT, which led me to find UTIG. Glancing through the list of UTIG researchers I found Harm Van Avendonk. I contacted Harm and shortly after I received an invitation to visit UTIG. The project Harm had lined up was very intriguing, and I could immediately tell he would be an excellent advisor. I was also very impressed with the other ongoing UTIG research, and I saw the opportunity to collaborate with scientists and fellow graduate students. The outdoorsy atmosphere in Austin and delicious breakfast tacos sealed the deal, so here I am. My family moved from Virginia to Colorado when I was young, and as we entered Colorado Springs I still vividly remember the first time I saw Pikes Peak. I thought to myself, “how did that giant mountain get there?” When I saw the Garden of the Gods, I thought, “how did these rocks get tilted vertically?” My interest in geology cultivated over the years, which led me study at Western. To my surprise at that time, I realized I really enjoy math, and for my senior project I coded a cross-well tomography model. Since then, I have always been interested in ways I can use math as a tool to investigate geologic processes, which I am still doing today in my PhD. You’re currently in New Zealand – what are you doing there? I am onboard the R/V Marcus Langseth participating in the South Island Subduction Initiation Experiment. The project is a collaboration between UTIG, Caltech, and Victoria University in Wellington. Harm van Avendonk, Sean Gulick, Steffen Saustrup, Marcy Davis, Dan Duncan, and Dominik Kardell are here too representing UTIG. We are collecting multichannel seismic and ocean bottom seismometer data along the Puysegur trench, a juvenile subduction zone. We hope the data we collect will offer clues about one of the last unanswered questions in plate tectonics – how does subduction initiate? UTIG researchers aboard the R/V Marcus Langseth for the SISIE project. Photo courtesy Brandon Shuck. What is your favorite part of your research? I love all aspects of my research, but I especially appreciate being in the field. I have been blessed to participate in two major field experiments in New Zealand as part of the SHIRE and SISIE projects. 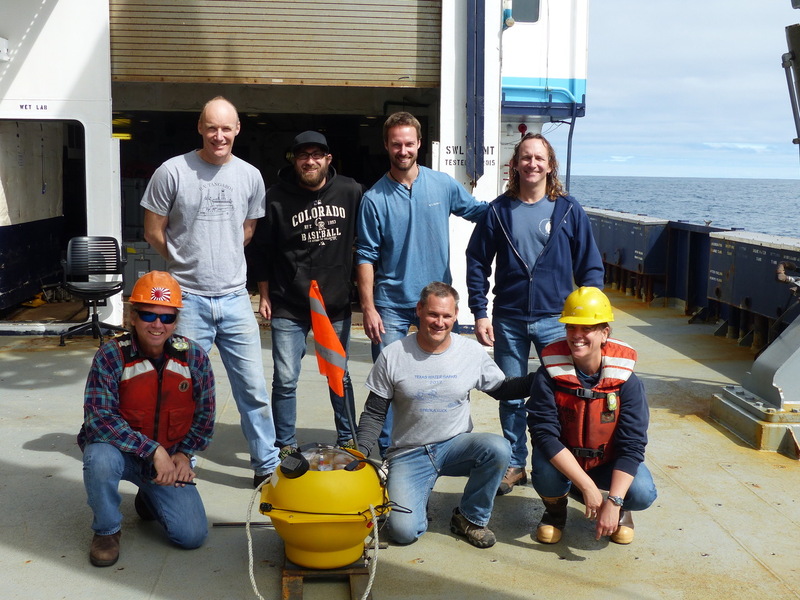 For both projects I have been on the Langseth and gotten my hands dirty with some fascinating geophysical equipment like hydrophone streamers and ocean bottom seismometers. Since approximately 70% of Earth is covered by oceans, these tools are crucial for a complete understanding of the Earth by imaging areas we cannot directly observe. Before both SHIRE and SISIE, I got the opportunity to explore a little of New Zealand (when in Rome, right?) which were some of the best adventures of my life! You recently were recognized for your posters at AGU and the JSG Student Symposium – what did it mean to you be receive those honors/be recognized? It always feels good to have my work recognized by others. But I must say, for my AGU poster to be recognized by GeoPRISMS, a community of thriving scientists, it was incredibly exciting! I am also unbelievably ecstatic to be honored amongst my fellow graduate students in the Jackson School who are all extremely talented. These awards give me reassurance that I am on the right path and will help drive my future research here at UT Austin. I feel so fortunate to be involved with UTIG in addition to the Department of Geological Sciences on main campus. UTIG has the feel of a prestigious research institute while maintaining a friendly and cheerful scientific community. I am so lucky to be able to chat with so many renowned scientists in my field of Marine Geology and Geophysics. I also really enjoy the UTIG seminars, which is by far the best seminar series within JSG in my opinion. Lastly, there is something about driving through a barbed-wired fence and greeting a security guard at the entrance to UTIG that feels more “official” and stimulating than just going to main campus. Don’t forget to have fun! Research can sometimes feel overwhelming, and it helps to take a break and relax every now and then. Try attending a GSEC social event, playing an intramural sport, or tubing down Barton Creek. Getting your mind off research will help you reset, and when you come back to work you will be more focused and determined than before. Grad school is a marathon, not a sprint. What are your career goals for after you graduate? I haven’t decided, but I am leaning towards pursuing a career in academia. I really enjoy research and teaching, so this path makes the most sense. This track is also appealing because academic researchers have the power to speak out and make a difference in the world. For now, I’ll just focus on getting my PhD and see where life takes me.